The Law Library maintains a number of subscriptions to legal and non-legal electronic databases. Last week, the Law Library added two new databases: Fulltext Sources Online and Mobile Apps for Law. 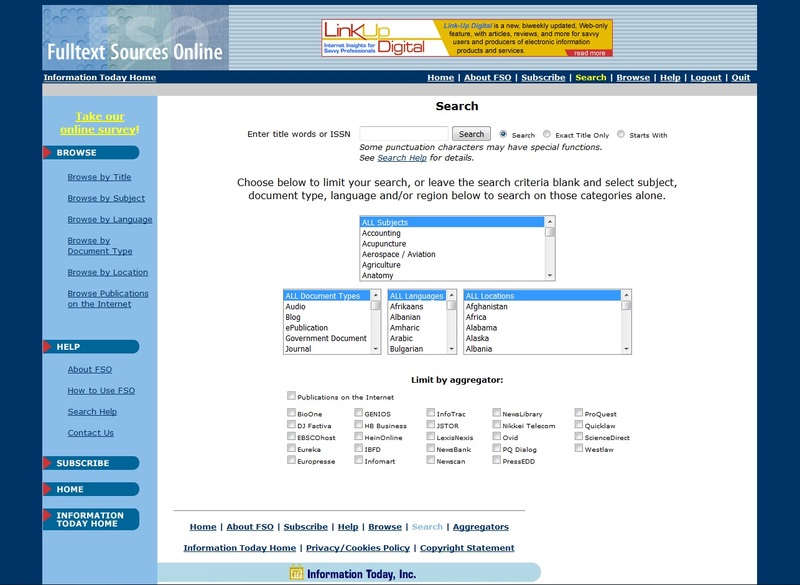 Fulltext Sources Online (FSO) is a directory of aggregated publications that are accessible online in full text. FSO is updated weekly and includes over 56,000 periodicals, newspapers, newsletters, newswires, and TV or radio transcripts. FSO contains topics ranging from science to finance. As the name entails, along with the providing the full text of sources, FSO also lists the URLs of publications with Internet archives, noting whether access to them is free or not. The Mobile Apps for Law database contains a comprehensive directory of mobile applications for law students and lawyers alike, including both legal research and utility apps for all mobile devices. 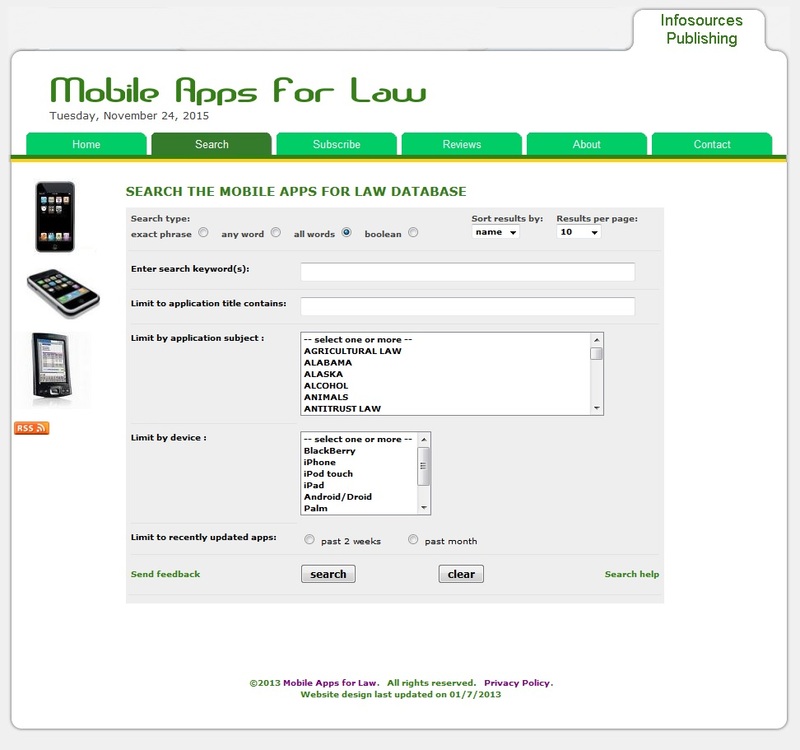 Apps are searchable by area of law/subject, state, or operating platform. Although iPhone and iPad apps have a more predominant presence on Mobile Apps for Law, the database contains a substantial number of recommended apps for Android users. To find these electronic databases, visit the Law Library website. On the front page, under Research and Reference, click on “Electronic Databases.” Sort the listings alphabetically to find FSO or Mobile Apps for Law. Listings can also be searched by subject area or provider.